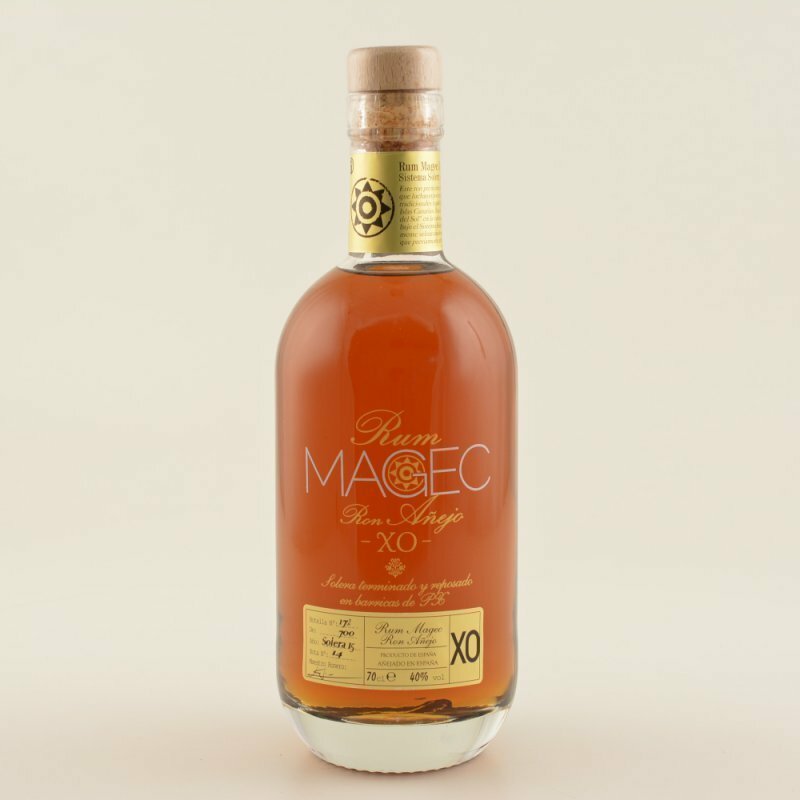 Have you found an online vendor selling 1423 Ron Magec, Ron Añejo XO Pedro Ximenez? A lovely sweet and balanced taste with some fruity aromas. 20ml uit een advent kalender. Karamel, citrus, vanille. 40% abv. Beetje saai. Great aroma. Very nice taste. Quite a dry flavour but not harsh. #22 i romkalendern 2017, betyget sammanfattar intrycket. Intense citrus nose, with short warm alkohol nad long finish with help of sugar. Very nice, sweet rum. In the nose brown sugar with with wood. In the mouth there is honey with hints of oranges. Duft af appelsin og træ. Men ikke ikke så intens. Smag af appelsin og karamel. Men manglende dybde gør den desværre let forglemmelig igen. 22. December i romkalenderen 2017. Vůně mírně nasládlá se stopami pomerančů. Chuť na počátku jemná, velmi slabě nasládlá, opět s trochou pomerančů. Později se rozehřeje, avšak neštípe. Dochuť se mi zdá lehce nahořklá po pomerančích, ale jen někdy. Celkově příjemný, i když trochu nevýrazný rum. Fin rom, duft af frugt og fad. Smagen er mild frugt og karamel. Duft af træ, frugt og en smule appelsin. Smagen er mild og sød med nuancer af banan og tørrede frugter. In Venezuela destilliert und auf den Kanarischen Inseln für 15 Jahre in Pedro Ximenez Sherry Fässern im Solera Verfahren ausgebaut. Du tauchst mit der Nase in ein mit tropischen Früchten und gebranntem Karamell gefülltes Sherry Fass. Im Gaumen, hoppla, da falle ich gleich in ein leeres Fass. Nach dieser gehaltvollen Nase ist auf der Zunge nicht mehr viel zu spüren. Eine unglaubliche Süsse von Sherry dominiert die Geschmacksknospen und lässt nur wenige Aromen von Karamell und Toffee durch. Im Abgang schön lang und sherrrrrry. Distilled in Venezuela and aged in the Canary Islands for 15 years in Pedro Ximenez sherry barrels in the Solera process. You dive your nose into a sherry barrel filled with tropical fruits and caramel. On the palate, whoops, I fall right into an empty barrel. After this rich nose is on the tongue not much to feel. An incredible sweetness of sherry dominates the taste buds and leaves few flavors of caramel and toffee. In the finish beautiful long and sherrrrrry. Spain produce great rums, and this is one of them! Nose: almond and orange. Palate: Toffee, banana and exotic fruits. Well balanced and not to sweet, great rum! Doftar av frukt och trä, behaglig doft. Fruktig och söt smak. Len och god. PX sherry finish Belize 9 years!